In any game, the equipment players use determines the way the game unfolds. Try to imagine a soccer game played with an American football! Or try playing tennis with the wooden racquets of thirty years ago. Change the equipment, and you discover a very different game. 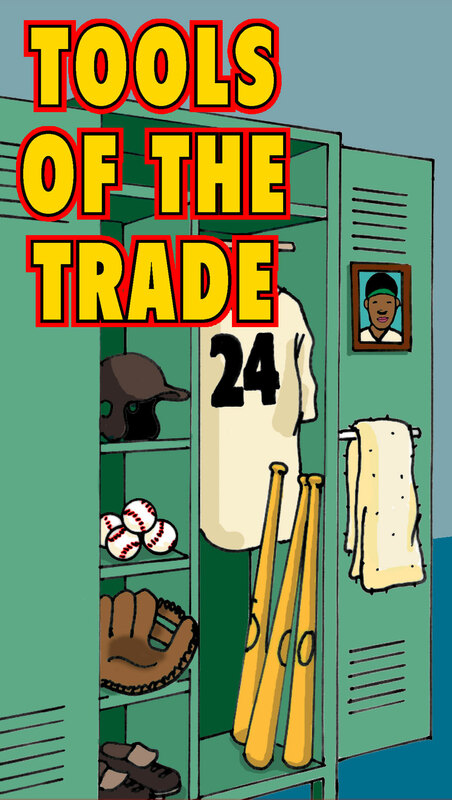 As part of our look at baseball, we decided to examine the tools of the baseball trade: bats, balls, and gloves. Perhaps the most crucial and visible tool in baseball is the bat. A bat is the offensive weapon, the tool with which runs are scored. To understand the history and science of bats, we traveled to Louisville, Kentucky, home of the Hillerich & Bradsby Company, Inc. (also known as H&B), the manufacturers of perhaps America's most famous bat, the Louisville Slugger. There, we learned how the modern bat came to be, and what it might become. In 1884, John Andrew "Bud" Hillerich played hooky from his father's woodworking shop and went to a baseball game. There he watched a star player, Pete "The Old Gladiator" Browning, struggling in a batting slump. After the game, Hillerich invited Browning back to the shop, where they picked out a piece of white ash, and Hillerich began making a bat. They worked late into the night, with Browning giving advice and taking practice swings from time to time. What happened next is legend, according to Rex Bradley, H&B's Vice President of Softball/Baseball Relations. "The next day, Browning went three for three, and soon the new bat was in demand across the league. We just kind of grew from there." First called the Falls City Slugger, the new bat was called the Louisville Slugger by 1894. Though Hillerich's father thought bats were a frivolous item, and preferred to continue making more dependable items like bedposts and bowling pins, bats became a rapidly growing part of the family business. Just as it was back then, the classic Louisville Slugger bat used by today's professional players is made from white ash. The wood is specially selected from forests in Pennsylvania and New York. The trees they use must be at least fifty years old before they are harvested. After harvest, the wood is dried for six to eight months to a precise moisture level. The best quality wood is selected for pro bats; the other 90 percent is used for consumer market bats. According to Bradley, white ash is used for its combination of hardness, strength, weight, "feel," and durability. "In past years, we made some bats out of hickory. But hickory timber is much heavier than ash, and players today want light bats because they've discovered that they can hit the ball farther by swinging the bat fast. So we can't make the bats out of hickory." Though Babe Ruth, one of the all-time great home-run hitters, used a 42- or a 44-ounce bat, players today use bats that weigh around 32 ounces. Even sluggers like Mark McGwire and Ken Griffey, Jr. only use 33-ounce bats because they want to generate great bat speed. The wood is milled into round, 37-inch blanks, or billets, which are shipped to the H&B factory in Louisville. There they're turned on a tracer lathe, using a metal template that guides the lathe's blades. These templates are set up to the specifications of each pro player. Then the bats are fire-branded with the Louisville Slugger mark. This mark is put on the flat of the wood's grain, where the bat is weakest. Players learn to swing with the label facing either up or down, so that they can strike the ball with the edge grain, where the bat is strongest. Hitting on the flat grain will more often than not result in a broken bat. Finally, the bats are dipped into one of several possible water-based "finishes," or varnishes, which gives bats their final color and protective coat. Each player selects the finish they desire, while a few players, such as former Kansas City Royals star George Brett, choose to leave their bats unfinished. Players today may go through as many as six or seven dozen bats in a season. (In early years, players used only use ten or twelve bats.) "In fact, one player, Joe Sewell, used the same bat for fourteen years," says Bradley. He attributes the increased breakage of bats to the thin-handled, large-barreled design of modern bats, and to the use of ash instead of hickory. "A pitch that jams you inside will almost always saw off a modern bat, while an aluminum or old-fashioned hickory bat might produce a base hit." Though the manufacturing process for bats has stayed largely the same, the design of the pro wood bat has changed a great deal since 1884. The early bats had very little taper, resulting in a bat with a very thick handle and a relatively small barrel. "The early bats almost look like someone just took an ax handle and used it for a bat," says Bradley. "Modern players want a thin handle and a large barrel, to concentrate the weight of the bat in the hitting area." By major league regulations, bats must be round with a barrel of no more than 2 3/4 inches. They can be up to 42 inches in length; there is no regulation about the bat's weight. One of the few innovations to the design of the wooden bat is cutting a cup out of the end of a bat. Developed by a pro player named Jose Cardinal in 1972, this "cup" can't be more than 2 inches in width or 1 inch deep. According to Bradley, the cupped bat allows the bat maker to use a heavier, denser, stronger timber, while still maintaining the desirable bat weight. "Recently," says Bradley, "Ted Williams came to visit, and he said that if he was playing today, all of his bats would be cupped. Coming from one of the great hitters of all time, that's good enough for me!" About half the pro bats made by H&B today are cupped bats. Throughout the history of baseball, players in search of an edge have doctored, or altered, bats in many unusual ways. The main strategy has been "corking" the bat. "Players cut the end of the bat off, drill a hole down into the barrel of the bat, and fill the hole with cork, then glue the end back on. This is an attempt to lighten the bat, and give it more spring or bounce," says Bradley. "But really, this does nothing advantageous to the bat. In fact, the bat gets weaker, because you've drilled out the heart of it. You may remember the time when [pro player] Graig Nettles put a bunch of rubber superballs inside his bat, and the bat broke, and all the balls spilled out." Bradley attributes the persistence of corking more to head games between the players than to any advantage a corked bat might have. Players have also been known to rub their bats with ham bones or glass bottles, a process called "boning," in an attempt to harden the bat. However, this practice doesn't seem to produce any benefit beyond the psychological either. In early days, some hitters would illegally hammer nails into their bats so that the ball would strike "iron." Even if the bat could be made harder, it would only diminish hitting, according to H&B Vice President of Technical Services George Manning. "Solid wood bats ‘give’ very little in the impact area, and thus they store very little energy. What little they do store, they give back [to the ball] very efficiently. On the other hand, the ball distorts a lot under impact, and is relatively inefficient in giving the energy back," Manning notes. So a harder bat just results in more deformation of the ball, and a lesser hit. The question that comes to us next was, but what about a metal bat? Aluminum: Technology Advance, or Dangerous Change? The most stunning change in baseball bats in the past fifty years started in the 1970s, when bats made from tubes of aluminum began to appear. These tubes are machined to vary the wall thickness and the diameter, and produce bats that are light, strong, and hollow, as opposed to the solid wood. "At first," says George Manning, "the aluminum bat was just a metal copy of a wooden bat. They were just more durable, so they were cheaper to use." But manufacturers and players soon discovered that there were other differences as well. "Aluminum bats are quite different than wooden ones. They're much lighter - -more than five ounces. The barrels are bigger, and because they are lighter, they can be swung faster than a wooden bat." 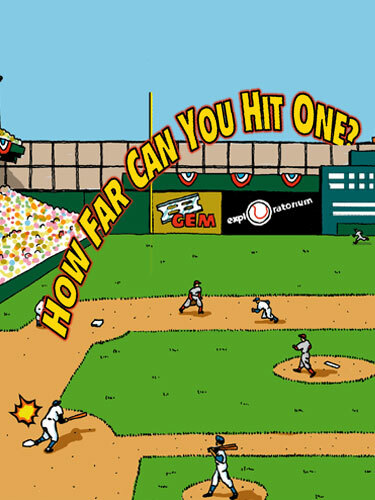 In addition, the hardness and resilience of aluminum can result in much greater speeds when the ball comes off the bat. Major league baseball has required that its players use wooden bats, but the aluminum bat has come to dominate the lower levels of baseball, from Little League to the college game. According to George Manning, the most significant difference between wooden and aluminum bats is that "with an aluminum bat, a phenomenon occurs called the trampoline effect. The walls of the bat are thin enough that they deform or flex when the ball hits the bat. Some of the energy (of the collision) is transferred into the bat instead of the ball. That energy is almost totally elastic; it is given back, or bounces back, almost 100 percent. The energy absorbed when the ball is deformed is almost 75 percent lost to heat, and thus wasted as far as propelling the ball. Because of this trampoline effect, you can hit the ball somewhat faster, and somewhat farther. In fact, when the NCAA approved the use of aluminum bats in 1974, we started comparing statistics and found that the team batting averages went up about twenty points, and the home-run production about doubled." The primary reason that wooden bats are required in the pros is due to this performance difference. "The pro leagues want to protect their historical records, and they want the performance of the game to be the result of human ability, rather than the technology of the bats," says Manning. Ever-increasing performance of metal bats has begun to affect the game at the college level and below. Aluminum bat makers have been exploring stronger and lighter metal alloys. The results include ever-lighter bats with thinner walls, and consequently higher bat speeds and even greater trampoline effects. A ball hit by these bats travels farther, faster. In addition, H&B has begun making a bat called the AirAttack in which a polyurethane bladder is inserted into the center hollow, then filled with pressurized nitrogen gas. The gas pressure in the bladder supports bat walls, pushing them out after they are deformed under impact. This support allows a much thinner wall and a greater trampoline effect. H&B has a softball bat called the Inertia, in which the interior of the bat contains a rolled-up steel spring that does the same thing. Batting averages and home-run production have gone up consistently at the college level as these advances have appeared. Titanium was used briefly, but it was quickly prohibited because that metal's combination of high strength, light weight, and elasticity was clearly going to result in shattering all hitting records in all phases of the game. "You could actually grab the barrel of the bat in your hands and squeeze, and you could feel the bat give," says Manning, who adds: "The trampoline effect was enormous, and though titanium was banned, we learned a lot about how to make aluminum bats achieve the same effect." Recently, a heated debate has broken out over the widespread use of aluminum bats in college leagues. Many in baseball fear that modern technology is creating a "super bat," which will irrevocably alter the game and endanger players. "Indeed," says Manning, "the rules committees are diligently looking at the performance of bats, and they have already put some limits on performance; they may well add more. They are not only concerned about the integrity of the game, the balance between offense and defense, but they are also concerned about safety." In fact, since interviewing Manning, the NCAA rules committee has decreed that many modern metal bats are dangerous to players and disruptive to the game. The high speed of the ball coming off the these metal bats has put pitchers in danger, as a line drive hit at them may be traveling too fast for them to get out of the way. And, according to Manning, the energy of a hit ball increases as the square of the velocity, so a fast hit can do more damage. As a result, the NCAA has ordered recently that bat manufacturers alter their designs to make bats heavier, with a smaller barrel. And baseball organizations from college to Little League are considering a return to a "wooden bats only" policy, though the fragility and expense of wooden bats may make such a move unfeasible. Though it's hard to imagine baseball without the ubiquitous stitched-leather glove, the baseball glove was not part of the original game. Through the mid-1800s, players still fielded the ball bare-handed, which gave a decided advantage to the hitters. One of the first players credited with using a glove was Doug Allison, a catcher for the Cincinnati Red Stockings. In the summer of 1869, Allison wore a pair of buckskin mittens to protect his hands, which were sore from catching fastballs. However, his innovation did not catch on immediately, as fans and other players considered wearing gloves a sign of weakness. One story tells of a St. Louis first baseman named Charlie Waitt, who, in 1875, wore a pair of flesh-colored gloves in a failed attempt to avoid the derision of the fans. The gloves early players used look strange to modern viewers. They were open-fingered, usually unpadded, and lacked the web or pocket between the thumb and first finger by which we recognize a modern baseball glove. Most players wore gloves on both hands, with perhaps a bit of padding for the catching hand. Not until 1903 did webbed gloves for fielders become prevalent. Former players like Bill Doak and Harry Latina helped the Rawlings Sporting Goods Company develop many improvements in the 1920s. New glove features were marketed, then as now, with scientific-sounding names, like the Web Controller, the Deep-Well Pocket, and the Edge-u-Cated Heel, to take advantage of the public fascination with science and technology. Gloves became increasingly specialized. Highly padded gloves for catchers, huge "scoop" gloves for first basemen, and large webbed gloves for outfielders were the norm. In 1950, the Baseball Rules Committee imposed a 12-inch limit on the size of gloves, but this was rarely enforced. Outfielders' gloves grew larger and larger, and in the 1970s some gloves could be 13 or 14 inches long. Gloves have traditionally been made out of leather. Early gloves were made from range cattle hides, which were tough and durable, while modern gloves are often made of softer leather. Gloves made from this leather need much less time to break in, but tend to wear out sooner. Early gloves could last as many as eight seasons of full-time use, while modern gloves may last only three seasons before needing replacement. In recent years, glove manufacturers have begun to use synthetic materials like vinyl and plastic in their gloves, though many pro players still insist on the traditional leather. Leather gloves need to be "broken in," that is, softened and molded to the shape preferred by the individual player. Many players have unusual methods for breaking in their gloves, but the most common one is to soak the glove in water, then put a ball into its pocket, hold it closed with rubber bands, and leave it for several days. Some players have even been known to run over their gloves with their cars, in pursuit of that perfect state of shapely softness. When you grab a baseball, the first thing you might think is how hard it is. You don't necessarily think of a baseball as bouncy. But that's exactly what a ball does when it hits a bat. The bouncier the ball, the farther it will travel when hit. Another word for bouncy is elastic, which means that when an object is deformed by an collision, it tends to bounce back, returning the kinetic energy of the impact into motion in the other direction. Objects that are not bouncy, or elastic, tend to dissipate the energy of the collision as heat, rather than returning it as motion. The measure of this bounce is called the coefficient of restitution. No ball is perfectly elastic; the elasticity of a particular ball depends on its construction. If you change the bounciness of a ball, you radically change the game. The modern baseball is tightly regulated: It has a rubber-covered cork core, which is then wound tightly with yarn and covered with alum leather. It must be between 9 and 9 1/4 inches in circumference, and 5 to 5 1/4 ounces in weight, and have a coefficient of restitution of no more than 0.578 and no less than 0.514. But in the early years of the game, prior to 1848, baseballs were very bouncy, built with a solid rubber core, and were only about 3 inches in diameter. Hitting these "lively" balls, some pro teams tallied as many as one hundred runs per game. As the game evolved, bigger, heavier, less bouncy balls were developed. Referred to as "dead balls," these balls didn't travel as far or as fast as the lively balls. Before the characteristics of the ball were regulated, home teams could choose which kind of ball they would use: If you had better batters than the other team, you'd choose a lively ball; if your team's strengths were pitching and fielding, you'd choose a dead ball. In 1910, Albert G. Spalding, a former pro who started the company that became the primary supplier of baseballs throughout the world, began making balls with very lively cork centers. The balance of power in baseballs shifted to the hitters, and pitchers resorted to guile to fool the batters: Spitball, sinker, and knuckeball techniques were all perfected around this time as was scuffing balls with dirt or emery boards. Many baseball historians assert that after 1920 the major leagues introduced an even livelier baseball to encourage power hitting and draw fans back to the games after the Black Sox gambling scandal. A drastic change in the game resulted: In 1919, National League hitters hit 139 home runs; in 1921 they hit 460. By 1930, teams scored 3.5 more runs per game than in 1915, and home runs totaled 1,565 across the league, up from 384 in 1915. Others dispute the "juiced" ball theory, saying that during the same time period baseball authorities outlawed tampering with the ball, depriving pitchers of some of their most effective weapons, and letting the hitters have a field day. Since then, there have been accusations that Spalding periodically introduces lively or "juiced" balls, made by winding the yarn inside the ball tighter. Players have complained of balls being too dead only once, during the WW II years, when a rubber shortage forced Spalding to make balls with a less bouncy balata rubber core. 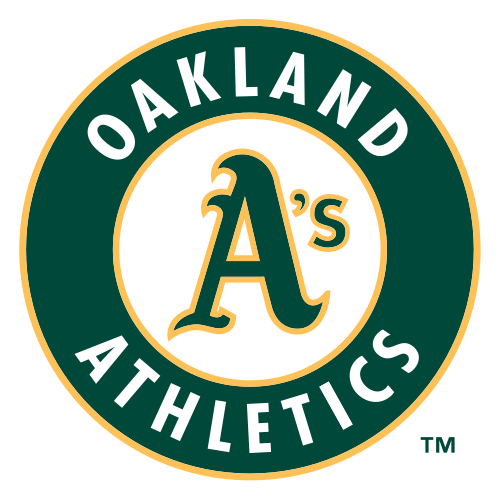 Future Baseball: Preserved Tradition, or New Frontier? Clearly, applying new technology to the equipment of any game can result in fundamental changes in the game itself. What if the rule-making organizations were to allow technological advance without restriction? What would the game be like then? Even just using the existing technology like titanium bats and more elastic balls, we could play a game of baseball in which scores like 50-37 would be common. But what if fielders were allowed to wear jet packs with which to chase down the new high-velocity drives hit by batters? The debate between the strong traditions of baseball and the search for a technological "edge" will no doubt go on, and time will reveal what kind of baseball future generations will play. Premium ash wood is cured for six months then milled into "billets." A billet is loaded into the lathe, and a template that determines the bat model's shape is then selected. In roughly 10 seconds, the lathe brings the new bat to life. The company logo and model name are then branded into the wood. The bat is given a final radial sanding. Finally, the bat is dipped by hand into a bath of varnish and hung to dry. For an in-depth look at how bat weight and bat speed affect hitting, check out How Far Can You Hit One?